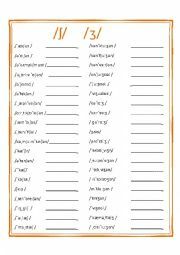 This Printable is for teachers who want to give their students a bit of practice using Phonetics. 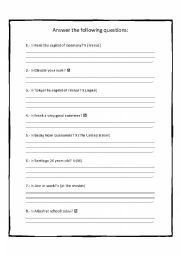 This worksheet is for practicing the Past tense. This is a paragraph in phoneetics to train the students to identify the words and transport them into conventinal English. I hope this exercise is useful for everybody. 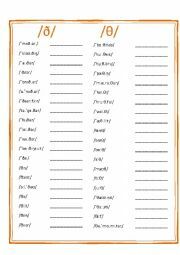 This wordsheet is to train the students in phonetics. 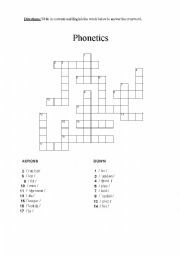 To find the words in conventional English those given in phonetics. Train in the pronunciation of words. 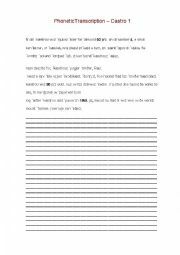 this is an activity where the students practice to place the frquency adverbs in the right place in a sentence. 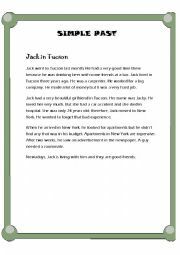 This activity is to practice "It is + adjective for +person. 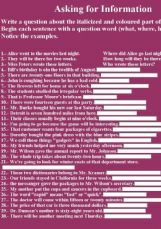 Tell the students to read one by one and choose the right match on the right to form a logic sentence. 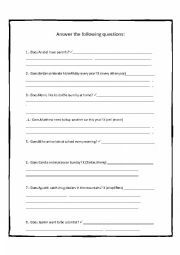 This is an activity to practice the possessive form using vocabulary of the family. 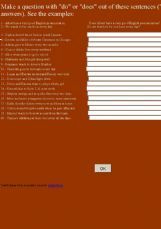 The two first examples are like this: "Anne is George�s wife" "George is Bob�s and Kate�s father" I hope you enjoy it and it will be useful for your students. This exercise is to check the knowledge of Question Words. You can use it as a quiz. 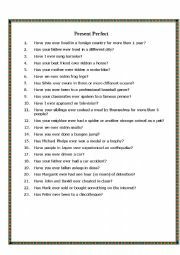 This is a good exercise to switch the verb to present tense when we make a question in Past Tense using the auxiliary DID. I hope it is useful for everybody. 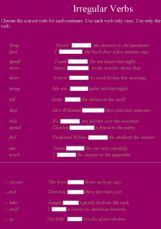 An exercise to practice the irregular verbs in Past Tense. Enjoy it ! For practicing how to use question words. Practice on how to make questions with auxiliaries "Do" and "Does". This exercise is to practice the First Conditional. It is a fill and match axercise. Enjoy it. It is only the first part. The rest will come very soon. 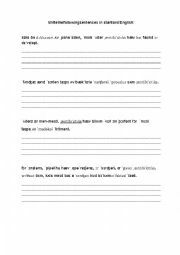 This exercise is to practice the substitution of subjects by object pronouns. It is a good one. Try it !